The Republic of Malawi is located in southeast Africa and was formerly known as Nyasaland. It is bordered by Zambia to the northwest, Tanzania to the northeast, and Mozambique on the east, south and west. The country is separated from Tanzania and Mozambique by Lake Malawi. Its size is 118,484 km2 (45,747 sq mi) with an estimated population in 2009 of 15,028,757. Its capital is Lilongwe, the second largest city is Blantyre and the third largest city is Mzuzu. The country is also nicknamed, "The Warm Heart of Africa." Malawi was first settled during the 10th century and was colonized by the British, who ruled the country from 1891 until 1964, when it gained independence. According to the 1998 census, 79.9% of the population is Christian, with the Roman Catholic Church and the Church of Central Africa, Presbyterian making up the largest Christian groups. There are also smaller numbers of Anglicans, Baptists, Evangelicals and Seventh-day Adventists. 12.8% of the population is Muslim, with most of the Muslim population being Sunni. Other religious groups within the country comprise around 3% of the population, including Jews, Rastafarians, Hindus and Baha'is. Atheists make up around 4% of the population, although this number includes people who practice traditional African religions. The Zimbabwean Brethren in Christ Church (Ibandla Labazalwane Kukristu e-Zimbabwe), in cooperation with Brethren in Christ World Missions, launched a missionary outreach to Malawi in the mid 1980s in the southern and central areas of the country. In 1987 a second ministry was inaugurated in central Malawi among a largely Islamic tribal people who live near Lake Malawi. By 1985 some 200 Christians (13 congregations) in Malawi asked to become part of the Brethren in Christ Church, giving rise to the Brethren in Christ Church in Malawi. The Malawi Brethren in Christ Church is committed to a variety of ministries. Leadership is comprised exclusively of Malawian personnel, with short-term leadership training carried out by North American missionaries. A key priority of the church is leadership training and it encourages women in ministry. Formal leadership training is centered primarily at the Evangelical Bible College of Malawi. In 2011 Anabaptist groups in Malawi included the Brethren in Christ Church (Malawi), also known as Mpingo Wa Abale Mwa Kristu, and the Church of God in Christ, Mennonite (Holdeman). Mennonite World Conference. "2000 Africa Mennonite & Brethren in Christ Churches." Web. 2 March 2011. http://www.mwc-cmm.org/Directory/2000africa.html. Wikipedia. "Malawi." Web. 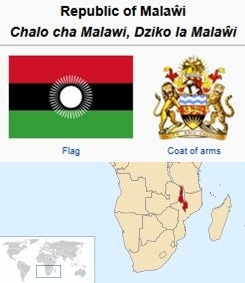 14 April 2011. http://en.wikipedia.org/wiki/Malawi. Thiessen, Richard D. "Malawi." Global Anabaptist Mennonite Encyclopedia Online. April 2011. Web. 18 Apr 2019. http://gameo.org/index.php?title=Malawi&oldid=137082. Thiessen, Richard D. (April 2011). Malawi. Global Anabaptist Mennonite Encyclopedia Online. Retrieved 18 April 2019, from http://gameo.org/index.php?title=Malawi&oldid=137082. This page was last modified on 6 October 2016, at 06:19.